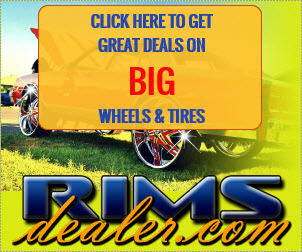 Big Rims – Custom Wheels Only cars with big wheels allowed! Here are some pics our followers sent us. If you see a big rims car in your city, send us the pics and we may publish them here. Subscribe to our newsletter and join our BIG RIMS community. We never send SPAM. We just send a few emails per month with the best car pictures.